Explode the App* is a technique to enhance listening, auditory skill development, spoken language and literacy for children who are deaf or hard of hearing. Well-chosen apps are “exploded” which means they are played as part of an LSL lesson that incorporates related traditional books, songs, games and learning extension activities. “Explode the App” lessons lead to listening, spoken language and communication success when people and apps interact together. 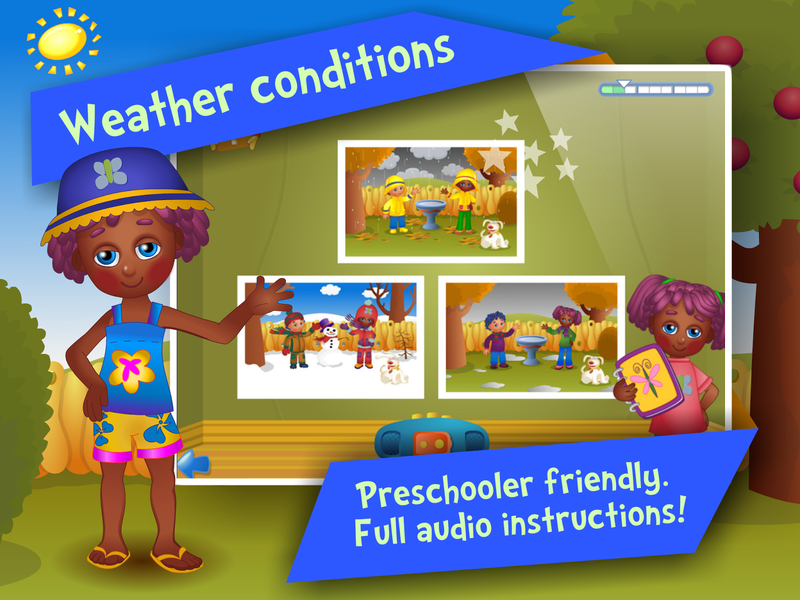 The featured Seasons and Weather App with interactive activities is about days of the week, seasons and the weather. It is engaging with top-quality animation, sound effects and adorable characters. 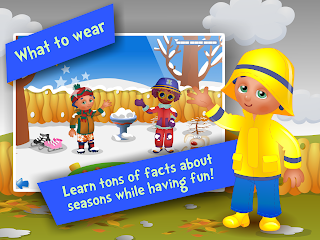 Discover three fun games in which Poko, an endearing boy who helps children learn to identify various weather situations in different seasons, teaches about weather appropriate clothing and associated activities. Families find this app easy to Explode and elaborate upon while fostering parental involvement. 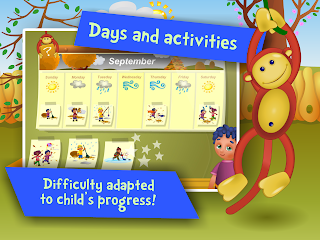 The calendar year with the twelve months and the changes that come with the four seasons are fundamental concepts for young children. Parents can talk about and relate activities they've done as a family in different seasons while powering the potential for listening, language, literacy and learning. Built by the developer of the PBS Kids Play! the app speaks to children in a calming, encouraging manner and is designed to minimize frustration. This app is one of many iLearn cross-curricular, game-based learning programs. They are all based on National Standards with the guidance from teachers and educational psychologists. The game comes with three levels for varying age groups. Each of the three levels of difficulty roughly corresponds developmentally to what a child should learn about seasons at ages 3 – 4, 4 – 5, and 5 – 6. Unlock the full version of this app with a single in-app purchase and learn and play all three levels. Join the Hearing First Professional Community to connect with peers and advance your Listening and Spoken Language practice. It is free and a wealth of resources including the Explode the App plans. Step One: Download the App with a Plan Handout. 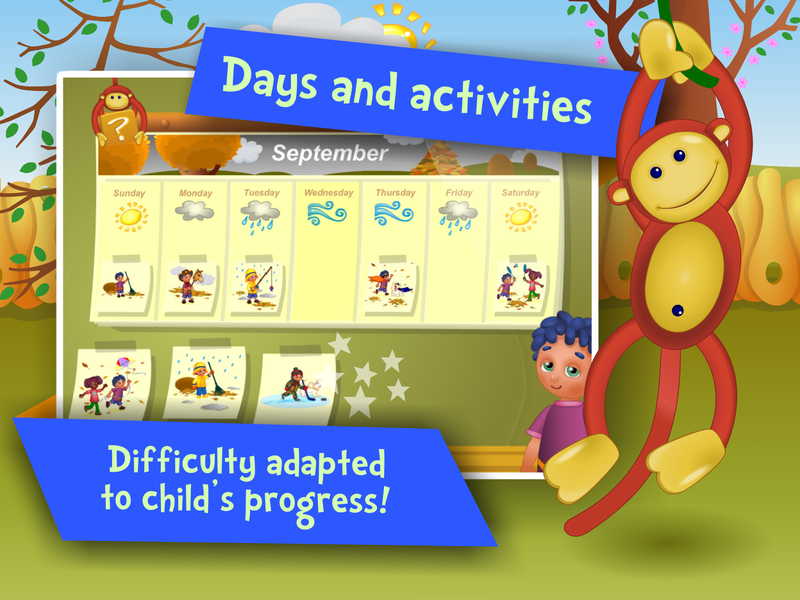 It has resources and activities for incorporating Learn with Poko: Seasons and Weather in your LSL sessions/lessons. 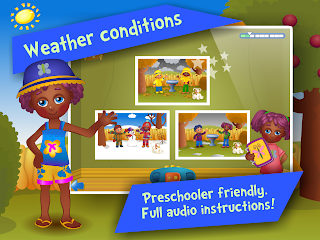 What ideas can you think of to expound on the Seasons and Weather app to target the child’s listening and language goals while having fun together? Hearing First in association with Lynn A. Wood M.A. CCC-A, LSLS Cert. AVT.